Can some foods really make you more intelligent, have smarter kids, improve your memory, help you think more clearly, and perhaps even forestall the onset of those so-called “senior moments”–or worse, dementia? The answer is yes, provided you take a balanced, holistic approach to nutrition and don’t get hung up on magic-bullet thinking -- the belief that eating specific foods–or even supplements of isolated components found in some foods -- is going to instantly boost your brain power or make your kid a genius. Another important message: Start early. “Much of the discussion of nutrition and brain health is linked with infants and kids -- the sooner good nutrition comes into play in a person’s life, the better the payout,” says Susan Moores, RD, a nutrition expert in St. Paul, Minnesota. When you talk about getting “rusty” at certain tasks, you may not be far off. Oxidation, the process that causes metal to rust, can also damage your brain cells. And that’s not all. “Every major disease you can think of with respect to aging has an oxidative stress and inflammatory component -- dementia, Alzheimer’s, Parkinson’s -- you name it,” says James Josephs, PhD, chief of the neurosciences laboratory at the USDA Human Nutrition Research Center on Aging at Tufts University. Antioxidants -- vitamins C, E, A, and other compounds in foods -- can help curtail the damage by disarming potentially harmful free radicals. Josephs’ research shows that some antioxidative compounds in the foods we eat have a direct affinity for specific areas of the brain: Ellagitannins in raspberries, strawberries, and blueberries are found in the hippocampus, the brain’s memory control area. Proanthocyanins in blueberries, purple grapes, red grape juice, and red wine gravitate toward the striatum, which is more closely associated with spatial memory. The implication? These compounds may enhance the performance of those specific parts of the brain. And, indeed, much of Josephs’ research focuses on how these food types improve cognitive and motor skills in animals. Another encouraging animal lab study showed that quercetin might play a role in maintaining our brains by reducing the risk of neurodegenerative disorders. So get your apple a day, as they say. In the spice category, curcumin, a component of the curry spice turmeric, also has powerful antioxidant and anti-inflammatory properties. It may even prove useful in treating Alzheimer’s: One recent study showed a reduction in beta-amyloid deposits, the plaques associated with the disease, in the brains of rats fed curcumin-enhanced food. What to eat: Increase your intake of a wide variety of different color fruits and vegetables to five to 10 servings a day. Drinking your quota can help, too. In one study, people who drank fruit and vegetable juices at least three times a week reduced their risk of developing Alzheimer’s disease by 75 percent. Sip antioxidant tea (green or black without milk, according to the latest research), or treat yourself to a moderate amount of very dark chocolate or hot cocoa, one of the richest sources of powerful antioxidant flavonoids. Sprinkle some turmeric-rich curry powder on vegetables. Mix the spice into spreads and dips for veggies, or enjoy a curry dish at your local Indian restaurant. No health-promoting diet would be complete without an adequate supply of healthy fats. Omega-3 fatty acids in particular may be instrumental in maintaining brain health throughout life. “Omega-3s, particularly a component called DHA, are present in the brain, so having them in your diet will be beneficial to your brain,” explains Moores. Fatty fish is a particularly good source of DHA, she adds. “Components of fatty acids in fish go straight to the synapses of nerve cells,” says Duke University Medical Center Professor H. Scott Swartzwelder, PhD, who is also a senior research scientist with the U.S. Department of Veterans’ Affairs. That means they help neurons communicate with one another, which may have a positive effect on learning and memory. What to eat: Because your body can’t make these essential fatty acids, you have to get them from what you eat. The best source of omega-3s is cold-water fish like wild salmon, mackerel, herring, sardines, and tuna (limit your intake of albacore, however, because of the mercury content). Plant options include walnuts and flaxseeds. Avocados, other nuts and seeds, as well as healthy oils like olive and canola, are beneficial for other reasons, too, since they play a part in lowering the bad cholesterol (LDL) in the blood and help promote blood flow–another important factor in brain health. Researchers have long known that sufficient intake of folate, a water-soluble B vitamin, by pregnant women can help prevent some brain and spinal cord birth defects. But new research shows that folate may benefit everyone else, too. Elderly people deficient in B vitamins can suffer cognitive decline, including memory loss. On the other hand, people who consume higher levels of the B vitamins (folate, B12, and B6) may reduce their risk of developing Alzheimer’s disease. Folate also seems to play a role in decreasing homocysteine levels in the blood, which may improve cardiovascular health. And that means good blood flow to all organs, including the brain. 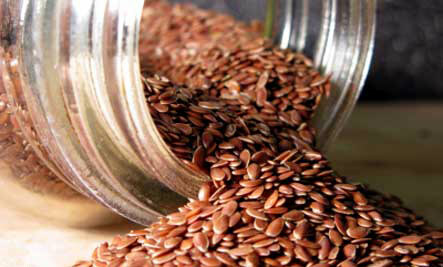 What to eat: Whole grains, green, leafy vegetables, and legumes such as dried beans, lentils, and peas. If your mind wanders or you have memory lapses here and there, you may need more zinc and iron in your diet. A lot of research has linked decreased iron and zinc levels with poorer mental performance in children, but new studies on adults suggest these same elements help keep grown-ups’ minds sharp as well. Marginally low iron reserves reduced adults’ ability to concentrate, and lower levels of zinc slowed test participants’ ability to recall words. What to eat: Good sources of iron include red meat (preferably lean), oysters, fortified cereals, pumpkin seeds, pistachios, tofu, and blackstrap molasses. For better iron absorption from plant foods, pair them with good sources of vitamin C, such as orange juice. 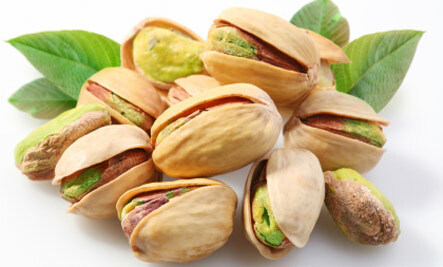 For zinc, choose red meats, oysters, dark-meat poultry, pork, pumpkin seeds, soy nuts, and wheat germ. Your brain is your body’s gas-guzzler. In other words, it needs a steady supply of nutrient-rich calories with a good balance of healthy fats, protein, and carbs to function at peak performance. Try these healthy mini-meals and snacks on the run.